Comedian, writer, and actor based in LA, Michael Palascak's done stand-up on The Late Show with Stephen Colbert, The Late Late Show with James Corden, CONAN, Comedy Central's HALF HOUR and was a top 5 finalist on the most recent season of LAST COMIC STANDING and he's coming to THE RENWICK MANSION in the QUAD CITIES! 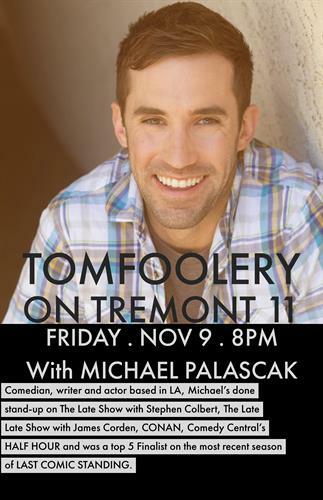 Don't miss your chance to see Michael Palascak, special guest comics, and your emcee Chris Schlichting on Friday, November 9th, at 8pm! $7 in advance, $10 at the door. Happy hour with 2 for 1's from 7-8pm! Tickets are limited!